Manufactured By Cadila Pharmaceuticals Ltd. Description - The Brand name of this medicine is Bortecad . 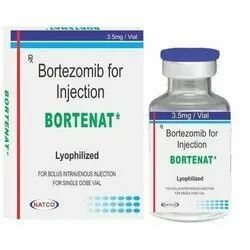 Bortecad medicine contains generic Bortezomib . 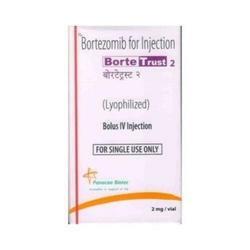 Bortezomib are available in form of Injection. Each Vial contains 2Mg Bortezomib. One Pack of Bortecad 1 Vial. Manufacturer & Marketed company name of Bortecad is Cadila Pharma Ltd, India. 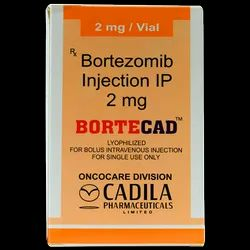 USED - Bortecad 2 mg Injection is an anticancer agent used in the treatment of multiple myeloma (a cancer of the bone marrow), and mantle cell lymphoma. Warning: Bortecad medicine out of the reach and sight of children and away from pets, never share your medicines with others, and use this medication only for the indication prescribed. The information contained herein is not intended to cover all possible uses, directions, precautions, warnings, drug interactions, allergic reactions, or adverse effects. Moderen Times Helpline Pharma are the leading suppliers, exporters, dealers of Bortrac injection 2Mg at very cheapest and reasonable price in Delhi-India. Bortrac medicine contains Bortezomib in it. It comes in the form of injection. Bortrac medicine is manufactured by Glenmark Pharmaceuticals Ltd.
F. Manufacturing Company: Glenmark Pharmaceuticals Ltd. Attention: The information contained herein is not intended to cover all possible uses, directions, precautions, warnings, drug interactions, allergic reactions, or adverse effects. If you have questions about the drugs you are taking,check with your doctor, nurse or pharmacist. Bortrac is a prescription drug and should be used under proper medical guidance and advice. Description - Brand name is Bortenat. Bortenat medicine contains generic Bortezomib. 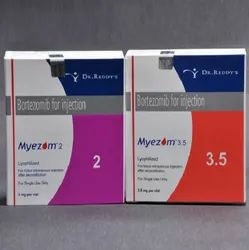 Bortezomib available in form of Injections. Each vial contains 2 Mg & 3.5 Mg Bortezomib per vial. One Pack of Bortenat contains 1 Vial. Manufacturer and Marketed company name of Bortenat is Natco Pharma Ltd, India. USED - This medication is a cancer chemotherapy drug used to treat certain types of tumors (e.g., multiple myeloma). It blocks certain proteins which helps to slow the growth and spread of the cancer. Warning: Bortenat medicine out of the reach and sight of children and away from pets, never share your medicines with others, and use this medication only for the indication prescribed. The information contained herein is not intended to cover all possible uses, directions, precautions, warnings, drug interactions, allergic reactions, or adverse effects. Modern Times Helpline Pharma are the leading suppliers, exporters, dealers of Bortetrust Injection 2Mg at very cheapest and reasonable price in Delhi-India. Bortetrust contains Bortezomib in it. Bortetrust is available in injection form. Bortetrust available in 2 Mg Strength. Manufacturer of bortetrust medicine is Panacea Biotec Ltd.
VI.Branded By: Panacea Biotec Ltd.
Bortetrust is a prescription drug and should be used under proper medical guidance and advice. Do not share the medicine with others, since they may be suffering from a problem that is not effectively treated by this drug. Bortetrust 2mg, Bortetrust 2mg suppliers price India, Bortetrust 2mg suppliers price China,Bortetrust 2mg suppliers price Russia, Bortetrust 2mg exporter price Russia, Bortetrust 2mg Dealers price China, Buy online Bortetrust 2Mg Exporters Price India, Buy online Bortetrust 2Mg Suppliers Price India. Description - The Brand name of this medicine is Myezom . Myezom medicine contains generic Bortezomib . 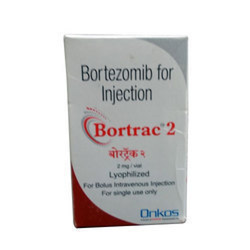 Bortezomib are available in form of Injection. Each Vial contains 2Mg / 3.5 Mg Bortezomib. One Pack of Myezom contain 1 Vial. Manufacturer & Marketed company name of Myezom is Dr. Reddy's Labs Ltd, India. USED - Myezom Injection is used in the treatment of multiple myeloma and mantle-cell lymphoma. Warning: Myezom medicine out of the reach and sight of children and away from pets, never share your medicines with others, and use this medication only for the indication prescribed. The information contained herein is not intended to cover all possible uses, directions, precautions, warnings, drug interactions, allergic reactions, or adverse effects.